Oxidative damage to DNA caused by excess generation and accumulation of intracellular reactive oxygen species is widely associated with numerous ailments including cancer, diabetes and various age-related neuropathological conditions such as dementia, Alzheimers and Parkinson’s disease. This damage, and its amelioration, can be readily assessed in vivo and ex vivo with the comet assay, a simple and sensitive method for measuring strand breaks in the DNA of single cells. Use of this assay has revealed that several wild and cultivated mushroom species, including some that are widely consumed as natural dietary components, exhibit varying degrees of protection. These include Agaricus bisporus, A. blazei, Lentinula edodes, Ganoderma lucidum, Phellinus linteus, Inonotus obliquus, and Coriolus versicolor. 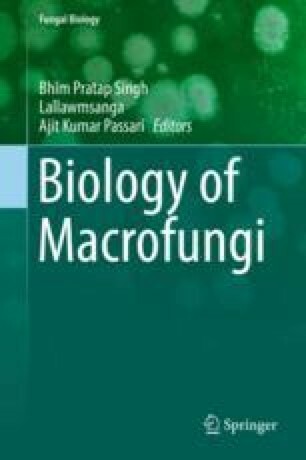 In view of the huge mushroom resources available, further research focused on the genoprotective effects of this important group of fungi is likely to be particularly fruitful.